If you like to play poker, why not enjoy it while taking a cruise on the high seas? Remember “The Love Boat”? If you were old enough to watch TV from 1977-1987, This popular series made cruises a must do vacation experience. A marriage of hotel amenities and high sea adventures became irresistible. Enter the 21st Century with a resurged interest in poker and cruise lines ready to oblige, you have an ideal getaway package for many players. Card Player Cruises, www.cardplayercruises.com, a staple in the business for over 25 years, has a calendar of cruises scheduled in 2019 that will suit any card player’s preference. Starting with a Seven Night Royal Caribbean Cruise Departing from Miami, January 26th. The poker room opens every day. This cruise features the Heartland Poker Tour, a televised, event with an expected prize Pool of more than $100K. Next up, Wednesday, Eleven Nights, February 27, 2019. Spend three days in Rio de Janeiro during the world-famous Carnival! As usual, there’s plenty of poker. How about Eleven Nights on the southern Caribbean? Cruise on Monday, Mar 25th, from Ft. Lauderdale, The poker room is always open. 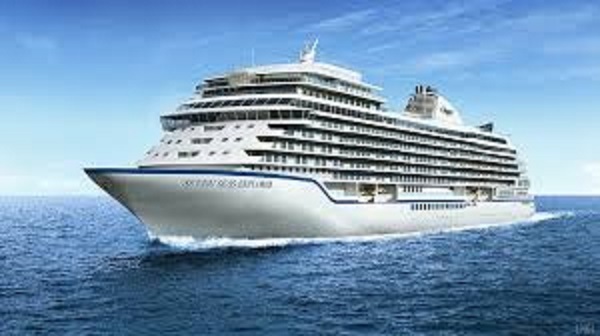 Perhaps a Seven Night Western Caribbean cruise on Sunday, May 5th, is the trip for you. Depart from Galveston, Texas, where you can play and cruise. Are you in the Northwest? On Friday, August 30th, Royal Caribbean’s Ovation of the Seas departs from Seattle, Washington for Seven Nights to Alaska. Don’t worry, the card room is always comfortable. Another Seven Night Cruise on Sunday, November,3rd takes you once again through the Caribbean from Ft. Lauderdale, FL. to the Eastern ports. Play some poker while you’re cruising. Winding up 2019 is Seven Night Bahamas Cruise on December 1st. Departing from Cape Liberty, Nj (Ny Metro), taking a journey to Orlando, FL. Play cards during the cruise to the Bahamas. Mixed games: Mixed games are available upon request. There are also tournament games offered on the schedules. If you’re green or new to the game, complimentary lessons are on the schedule. These lessons are always fun and informative. In a short period of time, you will learn the rules of the game, etiquette, some strategy, and will be able to play with other beginners in a very friendly, low-stakes game. The lessons are generally late morning on the first full sea day of the cruise.